Earlier we have discussed about Fbpwn. 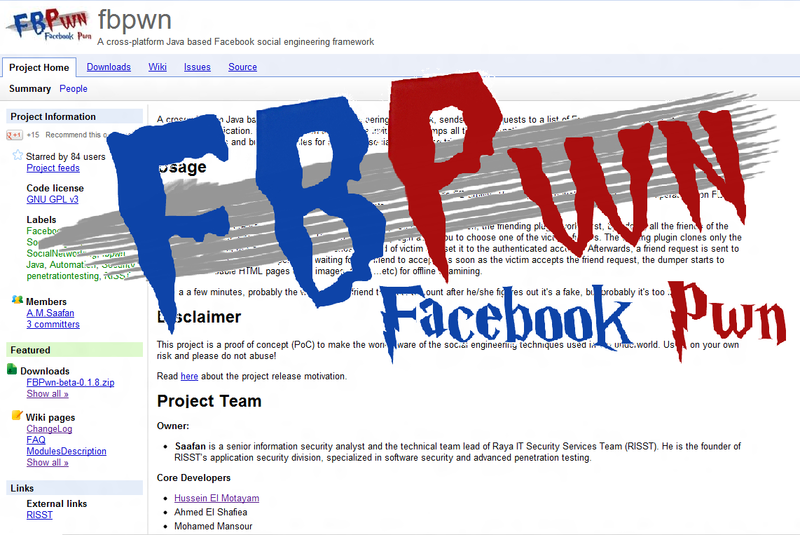 Now the time has come to update the version as the author - Hussein El Motayam has going to release version 2.0 of Fbpwn -A cross-platform Java based Facebook social engineering framework developed by Team Motayam. The most notable thing of this version is that the author has added 'Twitter pwn' that means you can now also extract Twitter information using Fbpwn Version 2.0. ProfileCloner: A list of all bob's friends is displayed, you choose one of them (we'll call him andy). FBPwn will change mallory's display picture, and basic info to match andy's. This will generate more chance that bob accepts requests from mallory as he thinks he is accepting from andy. Eventually bob will realize this is not andy's account, but probably it would be too late as all his info are already saved for offline checking by mallory. DumpImages: Accessable images (tagged and albums) are saved for offline viewing including comments under each image and album names. Same limitations of dump friends applies. DumpWall: Dumps wall posts for offline viewing. Same limitations of dump friends applies. DictionaryBuilder: Builds a dictionary using words from comments under photos and wall posts. CloseFriendsFinder: Finds the victim's close circle of friends by counting number of comments,likes and tags under photos and wall posts with the ability to change the weights of the ranking criteria.